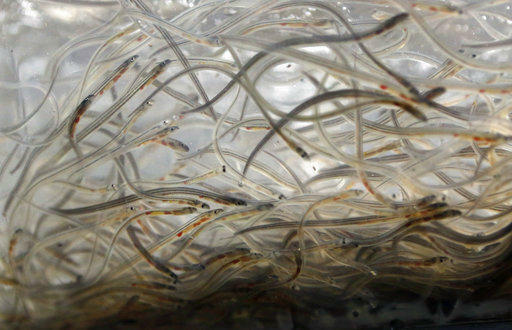 State officials are shutting down the Maine elver season early, citing illegal sales of the valuable "glass" eels coveted by Asian aquaculture businesses. The Department of Marine Resources (DMR) says a Marine Patrol investigation found some elver dealers paid cash to licensed harvesters without registering the eel sales through the state's official swipe card system, and they did so at prices less than those for properly tracked eels. "You have to assume there's some greed involved here," says DMR spokesperson Jeff Nichols. “This investigation shows us that the swipe card system is clearly something that some people in this industry have found a way around, and unfortunately for everyone with a stake in this fishery, it undermines the ability to maintain the fishery," he says. Harvesting and selling eels off-the-books could allow some licensees to exceed their individual quotas. And DMR says given illegal sales, the state has probably exceeded its overall 9,600 pound quota for the year – forcing a two week early end to a season that was on track to hit $24 million in legal sales. Darrell Young, cofounder of the state Elver Fishermen's Association, says DMR investigators visited his Ellsworth shop and examined his computerized inventory system. "They same, checked out my shop this morning, didn't really give me no details," he says. Young says his setup appeared to get a clean bill of health, though. He also says he is surprised that the swipe-card system may be vulnerable. "Everything's been pretty legit the last couple years,” he says. “I mean it'd be kind of foolish for anyone to even try to break the law." 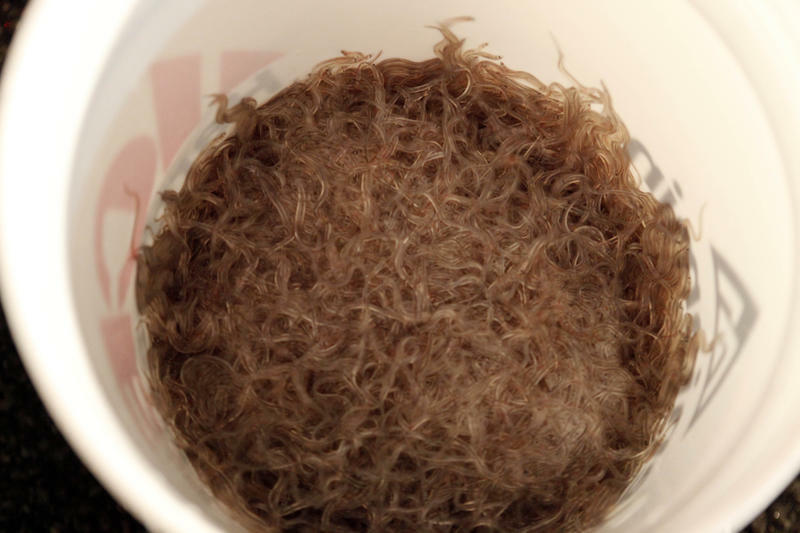 The harvesting season will close at 6 a.m. Thursday, with dealers allowed to buy elvers until noon. In a press release DMR Commissioner Patrick Keliher says the illegal sales have put the fishery's future at risk. Enforcement actions are expected, and DMR officials say they will release more information as the investigation progresses. This story was originally published May 23, 2018 at 3:04 p.m. ET. Three more men were sentenced yesterday in the interstate baby eel poaching sting known as "Operation Broken Glass." The price of elvers in the first few days of the season, is being reported as the highest ever for the fishery. Maine has the only significant fishery for the young eels, also called elvers, in the country. 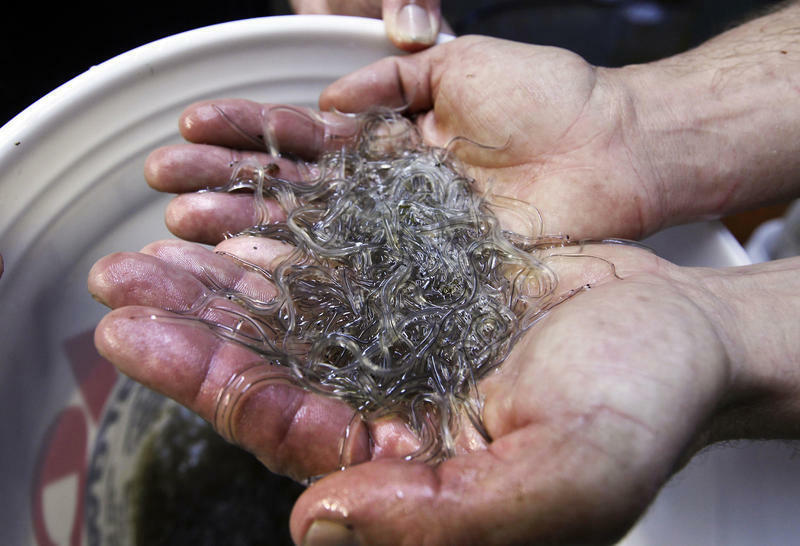 The Elver season started Thursday March 22, and the Maine Department of Marine Resources is reporting they're currently selling for just over $2,800 a pound. A Maine fisherman who played a key role in the rise of the state's baby eel fishery is awaiting sentencing for buying and selling the fish illegally.